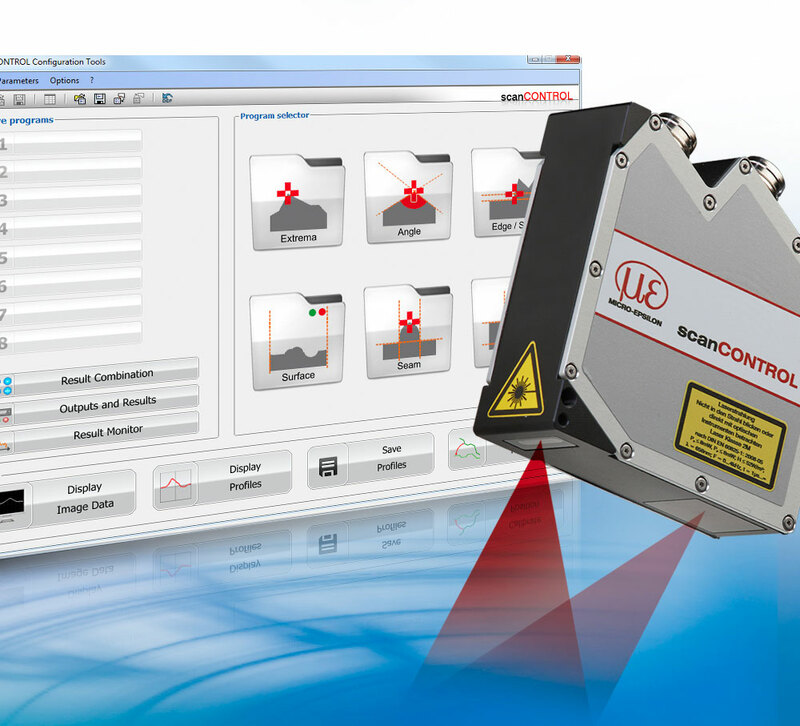 The scanCONTROL Configuration Tools software enables the set up and configuration of the SMART laser profile scanners. The latest version 4.2 provides a number of new features for users, including the ability to freely rotate and position profile views. Furthermore, measurement results can be connected logically to one another, enabling the simultaneous evaluation of different sizes. In general, the software enables the configuration of scanCONTROL sensors using a PC. It visualizes, loads, saves and exports the measured profiles. An impressive new feature: the current software version enables the user to freely rotate and position the scanned profiles. It is therefore possible to reproduce a realiztic view of the profile. For example, if the scanner is arranged at an angle to the measurement object, the profile can be straightened by rotating and repositioning it on the screen. This profile orientation feature optimizes visual representation and evaluation. In addition, evaluating measurement data has been further simplified. Many measurement tasks only require an OK or NOK output at the end of the measurement, e.g. when checking tolerance. In order to combine many different individual inspections with a single separate OK/NOK evaluation, the new software version allows the user to logically connect several digital signals. In this way, 8 different switch signals, for example, can be combined to provide one OK or NOK signal. Other new features include multiple calculation of already evaluated measurement values; optimized navigation; enhanced recording features; analysis of digital outputs over time; profile freezing; backup of all saved scanner settings; recovery of all scanner settings from a backup; support of scanCONTROL 29xx-10/BL; and display of the midrange in a measured profile.